Caption slip reads: "Photographer: Monte. Date: 1958-09-25. Assignment: Physically handicapped awards. 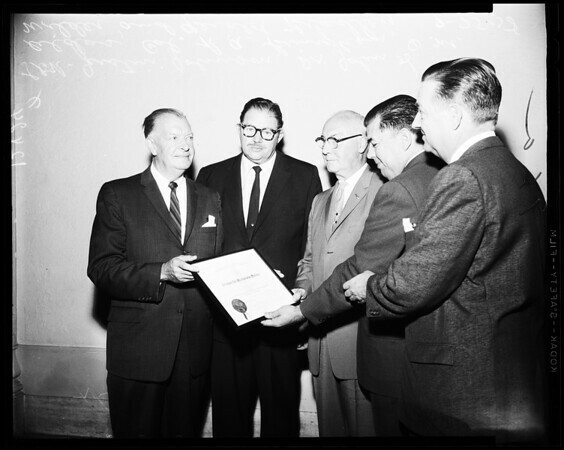 L to R. 96/97: Justin Johnson, Dr. John H. Aldos, Col. R.A. Bringham, D.M. Wilder & Gerald Bradley."